This week’s image, Grieving Widow, was captured by member Robert Child. Our popular weekly feature shows striking images by Scarborough Photographic Society members. The society meets at the Friends’ Meeting House, Woodlands Drive, on Wednesdays at 7.30pm. 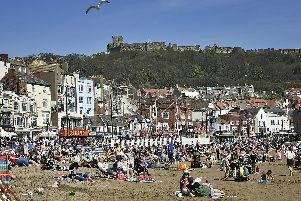 Visit www.scarboroughphotographicsociety.com, or call (01723) 379150 for more information.